When you write your goals down you are more likely to accomplish them. It’s also a proven fact that when you tell someone your goals, you are likely to work harder at your goals to achieve them. 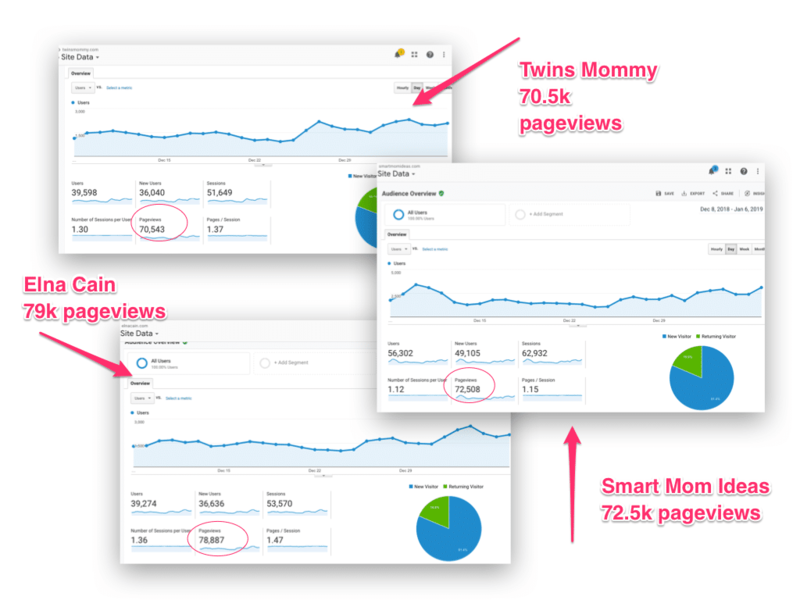 When I started Twins Mommy, I created a blog growth series where I documented my blog’s growth month-by-month. I was able to triple my blog’s traffic, grow my email list to hundreds per week and by year’s end – make six figures blogging! 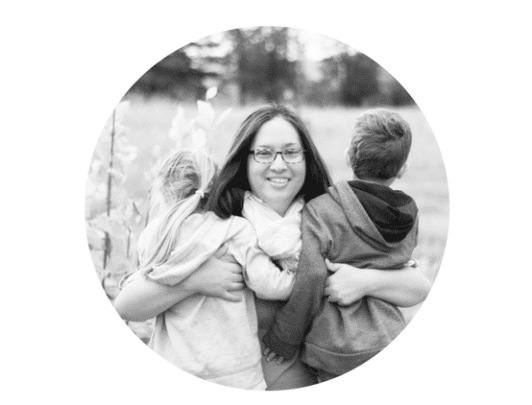 Those blogging goals helped me refine my strategy, give me deadlines and held me accountable. And by crushing my goals, you know what happened? And I started more blogs! With my goals in place month-by-month and quarter-by-quarter I know the exact tasks I need to do to grow my blog traffic. With more traffic, come more email subscribers and more income. 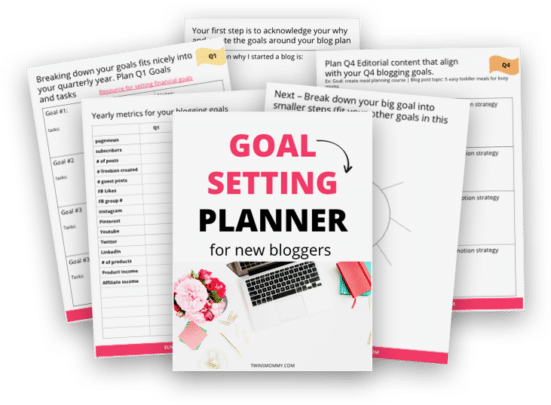 If your blog has been stuck for months with no traction – it’s time to start creating actionable goals that will help grow your blog. With the Goal Setting Planner, you’ll get a workbook to plan out your main goals and quarterly goals. From there you break that down into easy-to-manage tasks to accomplish each of your quarterly goals. You also get a “year-at-a-glance” metrics sheet. Start tracking each quarter your email subscribers, how many email lead magnets you create, how many guest posts you did, your social media follower growth, income and more. By seeing the big picture, you can make small tweaks to your overall strategy for your blog. Every blogger gets this. It’s a symptom of being a blogger or entrepreneur. Every little new thing catches your eye and attention, and you’ll go down a rabbit hole for weeks! You sit there and spend hours learning about the new thing on Pinterest and then HAVE to do it right there and then. But, with the Goal Setting Planner, that won’t happen. You will know the exact tasks you need to do, what blog posts you will write each week and your promotion strategy each week. These tasks bring you closer to accomplishing your main goal of creating a course, or growing your email list or making your first $500 blogging – or whatever it is!